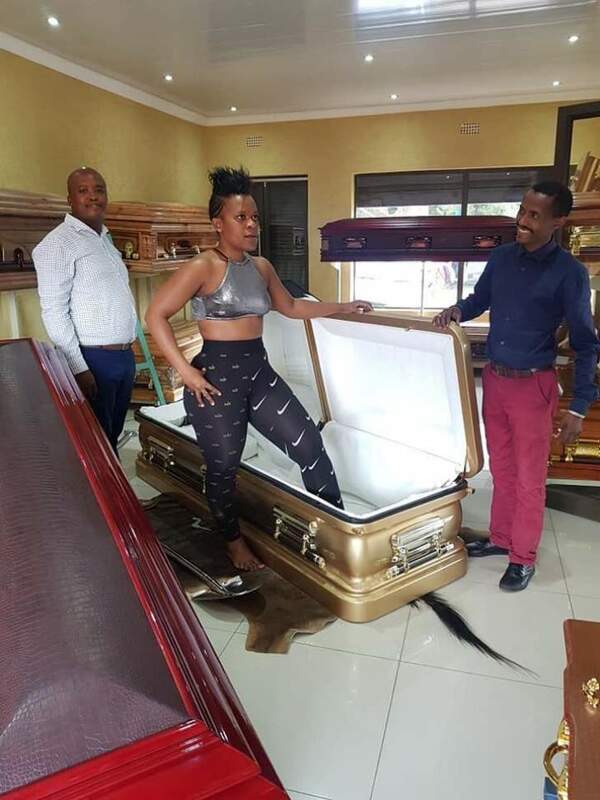 Prominent South African socialite Zodwa Wabantu who is famed for dancing without under garments has shocked her social media followers by purchasing her own coffin. 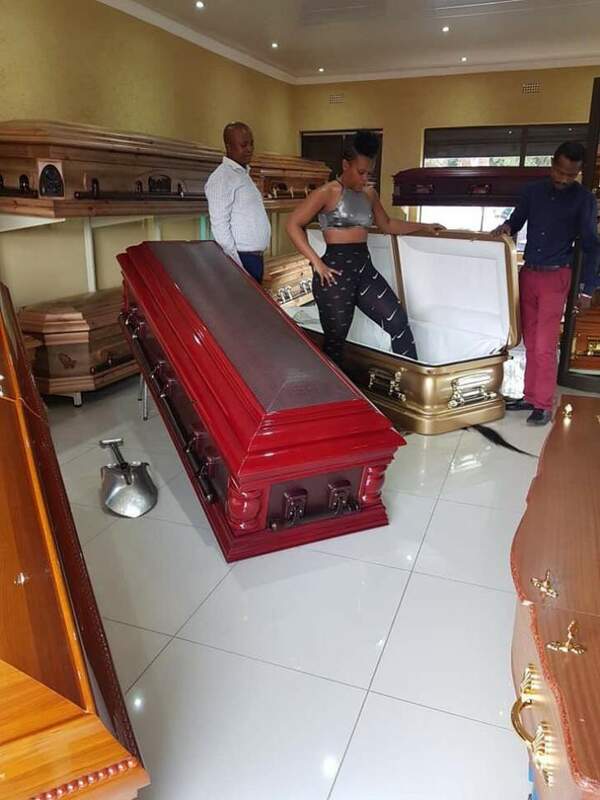 Zodwa said she did it because she knows she is going to die and does not want people to say she was buried in a cheap coffin. "Society is so afraid to talk about death. We all gonna die. I made a choice to purchase my coffin while alive. It's worth R150K." Zodwa said. Her announcement was mixed with mixed feeling with others saying she is pulling up a staunt to stay relevant while others said she has set a good example because black people especially celebrities do nto prepare for death.